« Is it Cold yet…? Sorry. I’ve a few few issues this morning. Mostly mental but a good rant is all that is needed. Topic A is the nightmarish, world changing technology envisioned, produced and perpetuated by Steve Jobs: the smartphone. Admittedly I was among the first in line to have my own hand held computer and demonstrating my shameful hypocrisy, currently have the latest and greatest of the same thing despite the shocking cost. Nothing better exemplifies the mindless drones of Orwell's 1984 than the crowds of people walking through Disney. Phone in hand, eyes glazed, thumbs scrolling, the hazard of the walking dazed was only exceeded by the crazed motorized chair people (another story for another time). I saw children who could not have been more than five, phones to their noses scrolling with an intensity that belied the ability of their tiny fingers. How sad. On the flight between Orlando and BWI, the flight attendant announced that the WIFI was not working so for an hour and a half we would be frustratingly without connectivity. As Southwest attendants are prone to do, she announced it with some sarcasm. Never-the-less you could just sense the collective moan from the stunned passengers. Sorry Steve, I love what you did but I hate societal outcome. We are all becoming democrats. 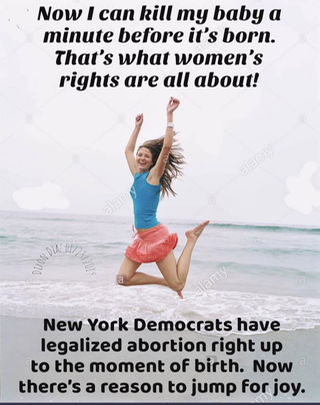 I am still deeply offended, if that is allowed for almost old people, over the NY law permitting unlimited abortion. How in the world did we ever get to this place…? And yet THEY celebrate… the same folks who continue to support the great Venezuelan disaster; the same folks who think planned parenthood saves lives; the same folks who think medicare for all will be free and easy healthcare on demand; the same folks who mandate their children’s gender with drugs and surgery. Arrrgh…. God cannot be happy. I have to quit before my mental health is unrecoverable but one last topic: I missed the Boys from Covington episode, but the after-reads once again prove that “journalism" in this era is simply an exercise in anti-conservative imagination. There is no shame in publishing absolute lies as long as it denigrates anyone who does not roll in the left wing muck.